What began as teaching dance-out-of-necessity has become a passion for me! I live in a rural community; when our contra dance scene got start some 20 years ago, we needed local callers to ensure the success of the dance series. Since then, I've called contra dances locally and for folklore societies around the state. While on vacation in Philly and in Hawaii, I called contra dances there. What a blast! ​I've lead community dances with church youth groups, home school associations, public school groups, weddings and other private parties. "Stacy is a natural teacher who knows the subject and cares about her students." "Just enough challenge and lots of fun!" "I found the class to be positive and uplifting - lots of laughter - just what I was looking for!" "Returning students are very helpful and encouraging - everyone is friendly." "It is great exercise both physically and mentally. I love it!" My class was featured in the article written by Carol Sanders. If you're reading this, I hope you'll join my class. 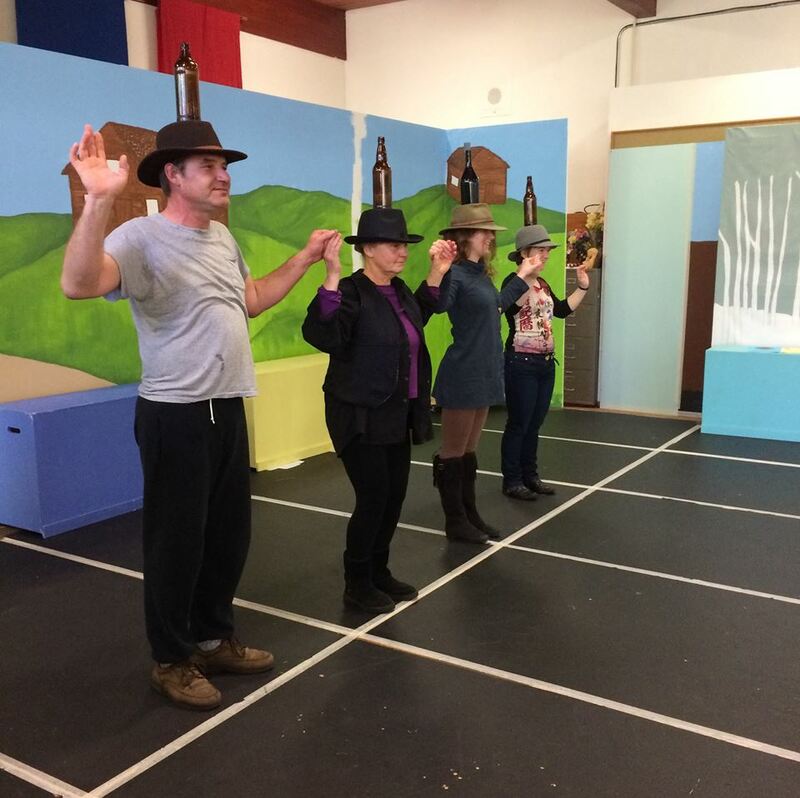 I was invited to choreograph a local production of Fiddler on the Roof. It was one of the most exciting dance projects I've ever done! Here below, a photo of the bottle dancers rehearse. Photo above: I recently became a member of Sea Breeze Harmony Chorus. After 8 years of ridiculing Gail about how hokey barbershop is, I have found that singing music in 4-part harmony is exciting! They give us sheet music and audio learning tracks - the tools for making magic! !